This aerodynamic, bouncing, "screamer" ball can fly a distance of up to 60 metres. 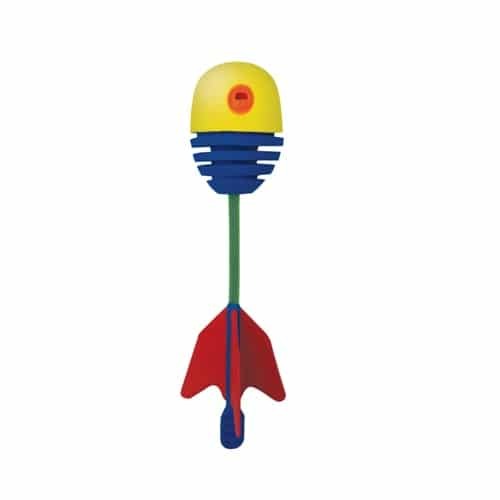 Britz n Pieces Supersonic Ball consists of a re-bound, super-charged foam ball attached to a stemmed tail with three fins. 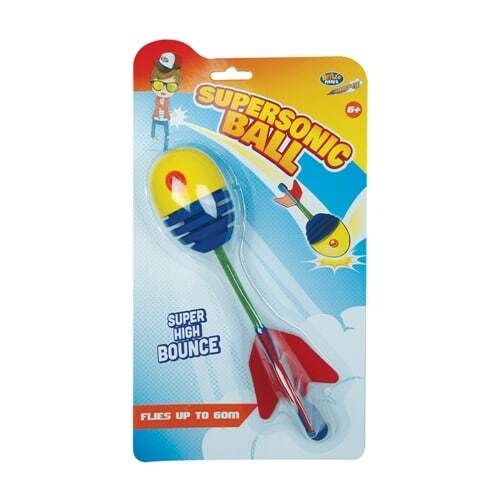 Once thrown, bounced or whipped on the ground, the Supersonic Ball will take off and wail like a banshee! So smack it, bounce it or chuck it.